Legal Description: The East Half (E/2) and the Southwest Quarter (SW/4) of Section 14, Township 11 South, Range 2 West of the 6th P.M., Ottawa County, Kansas AND The Southwest Quarter (SW/4) of Section 13, Township 11 South, Range 2 West of the 6th P.M., Ottawa County, Kansas. Property Description: 638.1 Taxable acres all native grass with 5 ponds and springs. Good native grass pasture with excellent water distribution. Property Location: The property is located from Bennington 5 miles East on K-18 to 230th Road then North 4 miles to Ivy Road. The property is on the North side of Ivy Road. Possession: Possession will be at closing. Mineral and Water Interests: All mineral and water interests owned by the Seller will transfer with the property. Terms: The highest bidder will pay 10% down the day of the sale and sign a real estate purchase contract. The balance will be due with certified funds on May 31, 2019, or on such earlier date as the Buyer and Seller mutually agree. This sale is not contingent on the Buyer’s financing, inspections, or appraisal. Taxes: The Seller will be responsible for all 2018 real estate taxes and prior years. All 2019 taxes will be the responsibility of the Buyer. Title Insurance and Escrow fees will be divided equally between the Buyer and Seller. Scheibeler’s LLC will be the Escrow Agent. If a Lender’s Title Insurance policy is required, it is the Buyer’s expense. All statements made the day of the sale take precedence over all printed material. 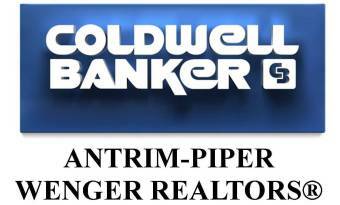 Acreage figures are approximate and there is no guarantee of the acreage figures by the Seller or Coldwell Banker Antrim Piper Wenger. All information is from sources deemed reliable but is not guaranteed. The property sells “AS-IS” with no guarantees or warranties made by the Seller or Coldwell Banker Antrim Piper Wenger or its agents. The Buyer is responsible for satisfying themselves with the property and conducting any inspections of the property prior to the auction. Chris Rost and Mark Baxa are acting as Seller’s Agents in this transaction.